Detection and removal of antipersonnel landmines is, at the present time, a serious problem of political, economical, environmental and humanitarian dimensions in many countries over the world. It is estimated that there are more than 110 million active mines scattered in 68 countries. These mines kill or maim more than 5,000 people annually. If demining efforts remain about the same as they are now, and no new mines are laid, it will still take 1100 years to get rid of all the world’s active land mines. The conventional methods which are currently used make the procedure of removing this great numbers of landmines very slow, inefficient, dangerous and costly. 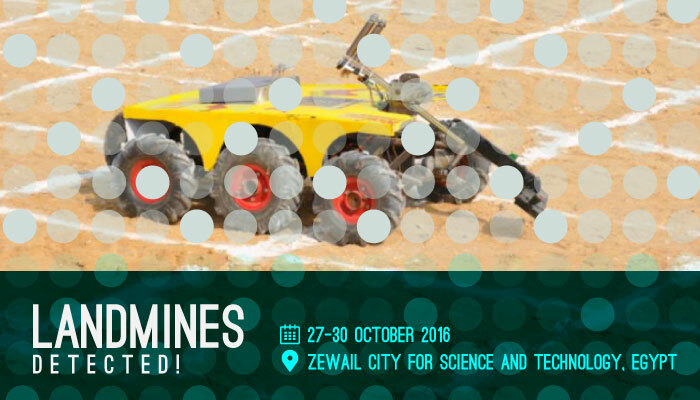 Robotics systems can provide efficient, reliable, adaptive and cost effective solution for the problem of the landmines and unexploded ordnance (UXO) contamination.